Sea, Sand & Sky: Join us on 3 Free Trips to Spectacle Island August 22-24 and 3 Free Trips to Georges Island August 29-31! Join us on 3 Free Trips to Spectacle Island August 22-24 and 3 Free Trips to Georges Island August 29-31! Save the Harbor/Save the Bay is excited to extend the summer with six more free trips for youth and families with our All Access Boston Harbor program this month! 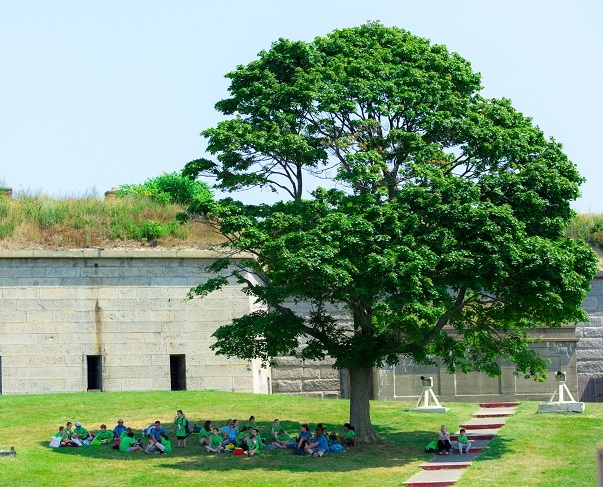 Join us on a trip to DCR's Spectacle Island on August 22-24, or Georges Island on August 29-31! 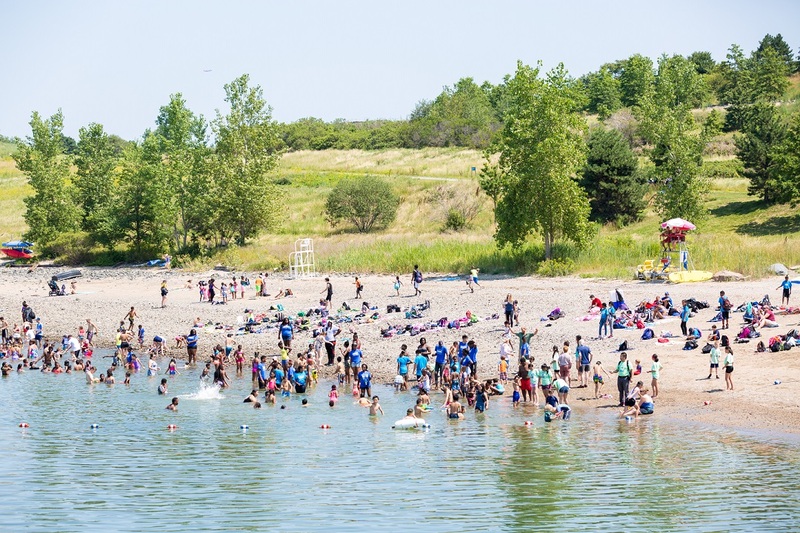 Swim at the lifeguarded beach on Spectacle Island! These trips are open to individuals, families, groups of friends, or chaperoned groups of youth and teens! Individuals and groups can register for these trips via this Google form. Please fill out the reservation form and join us next week! Learn to fish with Save the Harbor's staff, hear a story and song from Harbor Historian David Coffin, or just enjoy a relaxing day on the Harbor Islands with your friends and family. If you'd like to reserve space on multiple trips, please submit one form per trip. 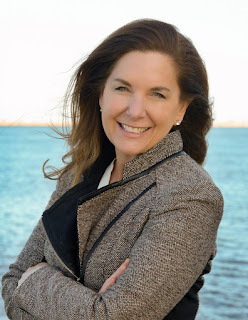 Please arrive at 9:45am at the Blue Hills Bank Pavilion at 290 Northern Ave to begin your adventure with an interactive presentation about the harbor and islands. We will then walk as a group about ten minutes down the street to the World Trade Center to board Bay State Cruise Company's Provincetown II for a 10:30departure. Enjoy a few hours at the island before boarding the boat for your return trip: at Spectacle, boarding will begin at 1:45pm for a 2pm departure; at Georges, boarding will begin at 1:30pm for a 1:45 departure. All trips return to the dock at the World Trade Center at 2:30pm. Snacks are available for purchase at the Cafe on both islands. You are also welcome to bring your own bagged lunch. 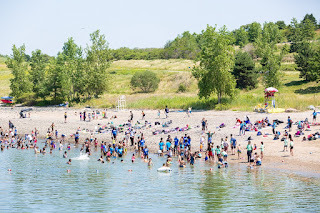 All Islands in the Park enforce a carry-on, carry-off policy-- so please bring a bag for your trash so that you can dispose of it back at the boat! To help you choose your destination, consider the attractions of each island: There is a lifeguarded swimming beach on Spectacle, while Georges does not allow swimming. 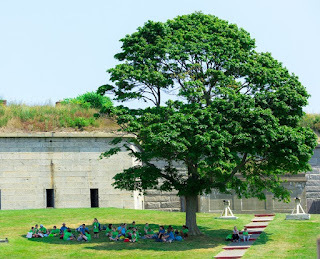 Explore historic Fort Warren at Georges and perhaps encounter the fabled Lady In Black, or hike to the highest point in the Boston Harbor Islands on Spectacle! 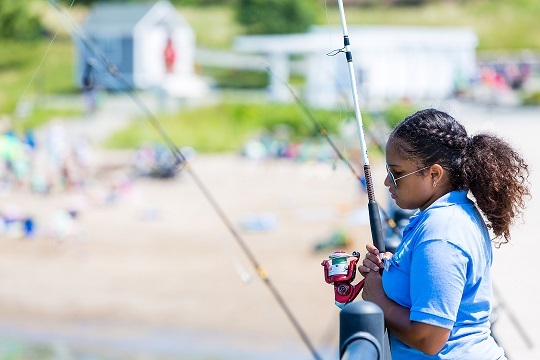 Save the Harbor staff will also be running activities on both islands including fishing, ball sports, and wrack line walks. These trips are geared towards ages 3 & up, so please plan accordingly. Strollers are allowed but may be unwieldy on the boat and gangway. Learn to fish and crab with our program staff! Hope to see you on the Harbor!